From vision correction procedures including LASIK to new surgery techniques for cataracts and glaucoma, and more, our experienced team is on the cutting-edge of vision technology and science. And, we’re constantly perfecting the newest, safest, and most effective ways to ensure quality vision for all our patients. 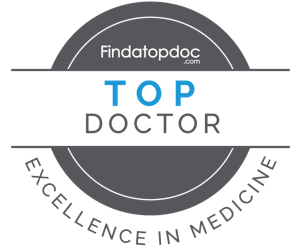 While we pride ourselves on our knowledge and experience, our most important priority is you, our patients. We’re dedicated to a personal approach to eye care that puts you at the center of everything we do. Before making any decisions, we bring you into the process and help you understand the right course of action. It’s your eyes. It’s your vision. We’re here to make it crystal clear. Are you in search of a LASIK doctor in Falls Church, VA? If you are, you have come to the right place! LASIK is one of the most frequently performed types of laser eye surgery for Dr. Anh Nguyen. This procedure is commonly safe, effective, and has very few side effects. LASIK eye surgery has helped millions of people see clearly without dependence on glasses or contact lenses. It has made those with active lifestyles happy again. For contact lens wearers, the hassles associated with contacts can be a thing of the past! LASIK is a quick and relatively painless vision correction procedure with an excellent track record of success. To get a better understanding regarding whether you would be a LASIK candidate please feel free to take our LASIK self-test! PRK in Falls Church, VA! PRK is used to correct mild to moderate nearsightedness, farsightedness, and/or astigmatism. Those who have been told that their corneas are too thin for LASIK and those who have concerns about the creation of a corneal flap may consider PRK as an option for vision correction. Results are generally the same between PRK and LASIK. Want to know if PRK is the right choice for you? Learn more here and Contact our office to schedule a consultation. Visian ICL is a type of refractive procedure that helps correct myopia, a very common visual problem. Visian ICL is a great alternative to LASIK or other refractive procedures. Dr. Anh Nguyen can walk you through the easy and short procedure. Contact our office to schedule a consultation! Are you suffering with cataracts in Falls Church, VA? Do have a family member that is suffering from cataracts and you are helping do the research? Anh Nguyen Ophthalmology strongly encourages you to review our cataract information. We use the most up-to-date techniques practiced in modern day cataract surgery. Click here to learn more! Once you’ve made the decision to have cataract surgery, you still have a crucial choice ahead of you. Up until recently, nearly everyone who had cataract surgery was fitted with the same basic type of IOL. However, recent innovations have led to the development of a variety of IOL designs, each with their own unique features and advancements. Dr. Anh Nguyen will work with you to decide which type of IOL is best suited for your needs. And while the characteristics of your eyes certainly play a critical role in lens selection, it is as important to consider your lifestyle, and the role vision plays in the activities you enjoy. Glaucoma, known as the silent-thief of sight, silently steals your vision without you even realizing it. Looking for an eye exam in Falls Church? If you do not have your eyes examined to check the status of your eye health, glaucoma and other diseases can steal your vision. At Anh Nguyen Ophthalmology, Dr. Nguyen is an expert at diagnosing and treating glaucoma and offers the finest and newest in laser, medical and surgical diagnosis and treatment. Request your appointment now! Wrinkles may come with age, but so does wisdom. Whether your eye lids are carrying excess skin, or your wrinkles have taken over your forehead, or your smile is outlined with parentheses, there are a number of procedures available in Falls Church to improve your look and feel! Schedule an appointment with Dr. Nguyen today to learn more about wrinkle management in Falls Church, VA and how Anh Nguyen Ophthalmology can help with BOTOX®, Restylane® and other Injectables. Falls Church's own Dr. Anh Nguyen received her doctor in medicine degree and completed a master in surgery at McGill University. She then specialized in ophthalmology at the University of Maryland in Baltimore. She completed a 2-year fellowship training in cornea and refractive surgery at the Massachusetts Eye and Ear Infirmary, Harvard Medical School. She is also a Diplomat of the American Board of Ophthalmology. Dr. Nguyen and Layla were great! Dr. Nguyen explained all of my options in great detail and left me comfortable with my decision and question free. They called me several times to make sure that I didn’t have any questions both before and after the surgery. They even called the weekend before my surgery. That’s dedication! I really felt like they created a doctor/patient relationship that was based on comfort and trust. My new eyes are wonderful! My only regret is that I waited so long. Thanks for the marvelous experience!